Measuring an impressive 1200mm in diameter the table can be set at three different heights depending on your requirement. Adjusting the table is simplicity in itself. 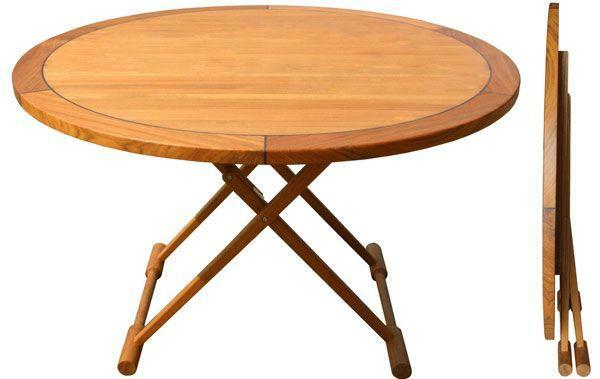 Here at Marine Teak we are introducing new products all the time, and the all new Captains Table Round is one that we are especially proud of. Measuring an impressive 1200mm (47") in diameter the table can be set at three different heights depending on your requirement. Adjusting the table is simplicity in itself, and with a simple single caulk line around the solid teak outside edge, this boat teak table will grace any setting you choose to put it in. The Captains Table Round is incredibly stable with our very own designed bullnose feet which perfectly match our exquisite Directors Chairs, and with a folded depth of just 140mm (5.5") it is very easy to store away when not needed. 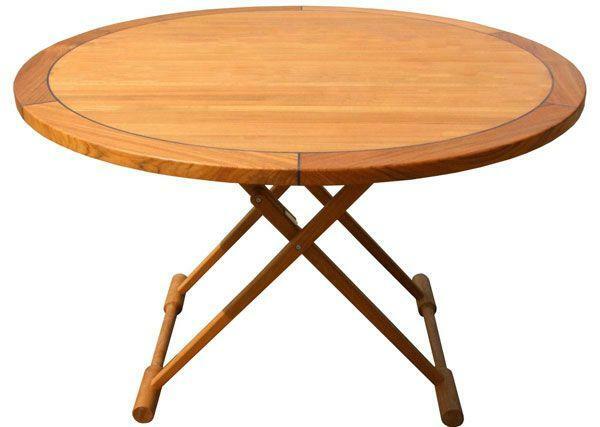 The Captains Table Round is waxed so is ready for use on board. 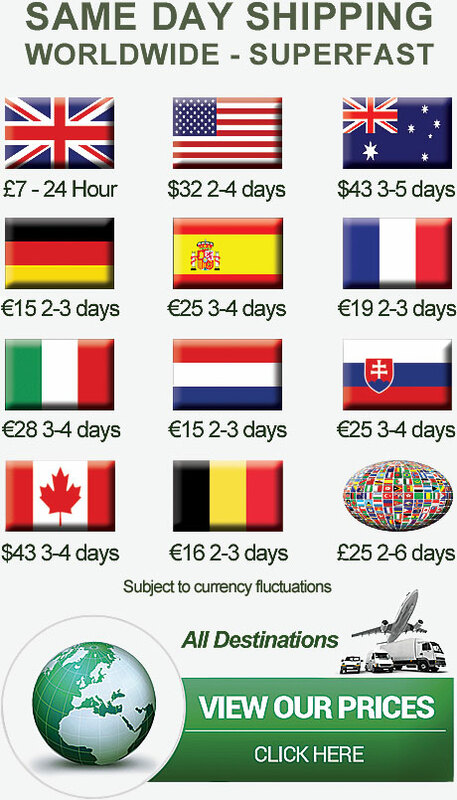 Please note that due to the size of this table, we are unable to deliver to certain countries outside the EU. 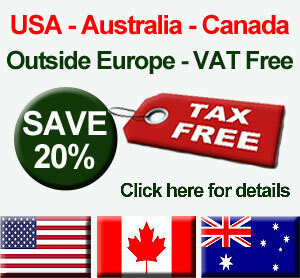 Please pop an email over to confirm delivery address prior to ordering to confirm we can ship to your country.